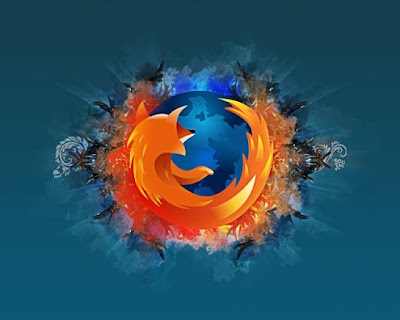 OK.So you have already downloaded FIREFOX 3 but now you want to customize it to meet your requirements.Presenting 30+ Firefox 3 extensions that you will really appreciate and add to your FF3. ColorfulTabs - Having too many tabs open can lead to a lot of confusion, but this extension will assign your tabs different colors so you can tell them apart easier. Adblock Plus - The popular, yet controversial extension has been updated to work with the latest version of the browser, and it’s still doing what it does best: blocking ads. ChatZilla - Add an IRC client to your browser so you can chat in it directly without having to open any other applications. ColorZilla - An extremely handy tool for Web developers to let them see the RGB and Hex values of any color on a Web page. Del.icio.us Toolbar - Quickly add bookmarks to your Del.icio.us account, edit tags and access your account. Digg - Lets you know if the page you are viewing has been dugg, how many it has received, recent comments and more. DownThemAll - A popular extension that assists you in downloading multiple files from a page with just a few clicks. Facebook Toolbar - Gives you notifications of new mail and pokes on your Facebook account. Firebug - A mainstay of the developer community, Firebug strips down Web pages quickly and lets you work on JAVA, HTML, CSS and more, directly inside the browser. FireGestures - Use five different mouse gestures to control various functions of Firefox. Flagfox - See a flag in the status bar that tells you what country the server is in for the website you are on. You can then look up more detailed information on the server, giving you some extra security in case the site is a fake. FlashBlock - Annoyed with Flash animations that play on sites when you launch them? FlashBlock will stop them from playing. Foxmarks - Have more than one computer? Then you have to have Foxmarks. It synchronizes your bookmarks across multiple computers and gives you access to them via their website. FoxyTunes - Gives you control over multiple media players directly from your browsers to save you the effort of changing windows. Forecastfox - Weather forecasts brought to you by the people at AccuWeather.com. Google Toolbar - Gives you the ability to search Google from a toolbar, access to your mail, auto fill forms and several other features. Greasemonkey - Greasemonkey is the necessary extension to run the ceaseless stream of Greasmonkey scripts that allow you to customize sites from Facebook to Gmail. GSpace - Gmail gives you nearly 7 GB of free storage. With Gspace, you can turn some or all of that into free online storage of files that you can access from anywhere. IETab - Sometimes you just have to look at some things in Internet Explorer due to coding issues. Well, using a tab inside of Firefox is a far sight better than having to open up IE itself. MeasureIt - An extension perfect for designers that allows you to measure the dimensions of any section of a page to figure out how much real-estate it is occupying. Meebo - Gives you a sidebar with all of your buddies from the various instant messenger services that Meebo supports such as AIM and MSN. NoScript - An important extension in your security arsenal as it prevents scripts from running in the background of a website without your express permission. QuickRestart - One of the most annoying things about adding a new extenstion to Firefox is the down time while it restarts the browser to work properly. This extension speeds up the process. Reload Every - Allows you to set your tabs to reload every few seconds or minutes, handy for sites like Twitter. Sage-Too - A lightweight RSS reader you can integrate into your browser. StumbleUpon Toolbar - Allows you to stumble pages from a convenient toolbar, add comments, view what has been said and more. TwitterFox - A Twitter client that resides down in your status bar. Update Notifier - You’ve been adding all these extensions, but it’s easy to forget to check to see when they’ve been updated. This puts the notifications out front where it’s easy to keep track of them. Video DownloadHelper - Assists you in finding and downloading videos from over 500 websites all over the world. WebMail Notifier - Get notifications of new email in your status bar for services such as Hotmail, Gmail, Yahoo Mail and more.